I once, many years ago, went to a corporate recruitment session (hey, we’re all desperate when we’re just out of school), and I remember a couple of things from that session. 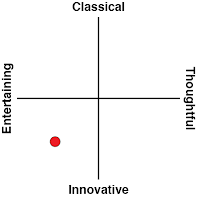 Firstly, I quickly learned that I haven’t got the temperament to make it in the sales organisation of businesses. Probably the less said about that the better, as I don’t want to offend people in sales, but we’ve all seen The Pursuit of Happiness. I could never do that. Related reading: Four other PlayStation VR games that might interest you... including a light gun FPS, Mortal Blitz, that is really quite good. The more meaningful thing that stuck with me was actually a mind exercise that we were set as a task to test how we approach problem solving. The hypothetical was that we were stranded on the moon with a faulty spaceship, and had to make it over to the other side of the moon where there was a base; we were asked to rank, from 1 to 15, a series of objects in order of priority, for what we would attempt to take with us on that trip. Later on I’d discover that this was an actual NASA exercise, but for whatever reason it also appeals to recruiters for determining who would be the right candidate for the sales process. 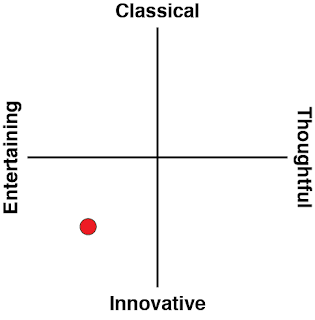 A quick search online actually turned up the test, if you’re interested in taking it for yourself. Anyway, at this recruitment session we were split into groups, and while the rest of my group busied themselves with discussing the merits of each object on the list, I found myself imagining what it would be like to actually be facing that experience; the emotions and the desperate flight for survival on a alien, and completely hostile “planet” in the moon, where the very air (or lack thereof) is conspiring to kill me. That’s probably the moment I realised that sales wasn’t really for me. 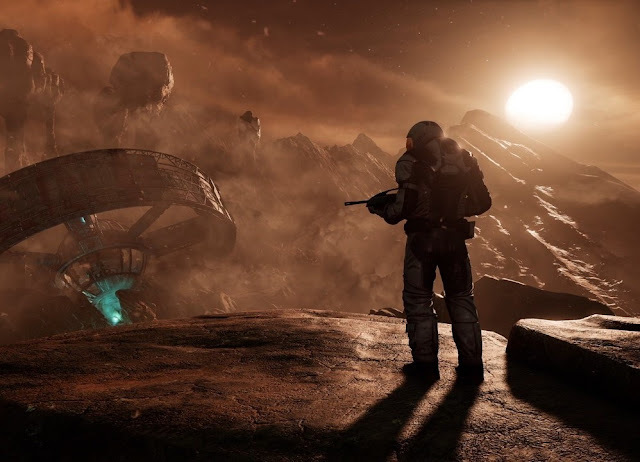 The point to this introduction is that Farsight, Sony’s first serious attempt at a AAA-like experience for VR, is a game that taps into that precise hypothetical. At the start of the game you are a person working on a space station with a few others, before an anomaly pulls you all into a strange rift in space, and deposited on the surface of a desert planet, with bits of the ship scattered around. Worse, you’re separated from the other two, and need to rely entirely on your own wits and will to survive to follow in their footsteps, figure out what happened to them, and find a way out of this situation. Right from the outset, the atmosphere in this game is intense. Nothing is more foreign, uncomfortable, and hostile to humans than a planet other than earth, where the slightest hole in a cumbersome space suit can mean death. Nothing is more lonely, too; you can’t just jump in a car and go and find help if you run into trouble out there. As horrific as it is at its very concept, space is also a playground for the imagination. When anything could conceivably happen, the opportunity to present an audience with an exotic and wondrous world, unlike anything they have ever seen before, has been driving science fiction writers for as long as science fiction has been around. Beautiful but terrifying; like the environment itself is to us, being isolated in space is an extreme experience, and for that it’s one that’s often difficult to capture in games in a way that feels like a proper spacefaring experience. 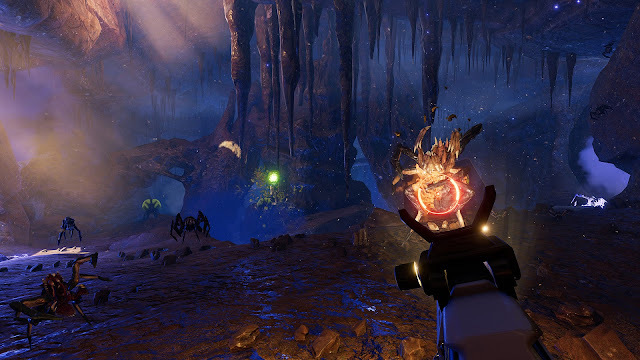 Farpoint gets its setting and atmosphere absolutely perfect. With the VR headset on, the immersion in the world is complete, and I often found myself looking all around me and just drinking in the sights every time I came to a new area. Then I would creep forward, knowing that there would be enemies all around me, and the intensity of being attacked by a swarm of alien monsters is that much greater when it’s happening in VR. Couple that with the tactile feeling of having the pointer gun in your hands (and the gun in-game sharing the same visual characteristics to what you’re feeling), and the connection that I felt being in this world was instantly greater than almost any other FPS that I have ever played. While you don’t need to physically move to navigate around in Farpoint, there is a physicality to the experience that is very appealing. Last year when I was in Japan I went to a VR zombies game experience, where everyone was equipped with backpacks that allowed them to move around a warehouse area, and the VR world and attacking zombies was superimposed over the top of that. It was an incredible experience, and something that made me think that arcades would be on the way back, only instead of offering row after row of arcade cabinets (because those experiences you can get at home easily now), you would instead have these warehouse experiences, offering something that can’t be done at home, either because of constraints in space, or the simple reality that the VR experience has to be custom built for a room of a precise size. We're never going to have game developers show up at people's homes to create games that work to their precise living room dimensions. 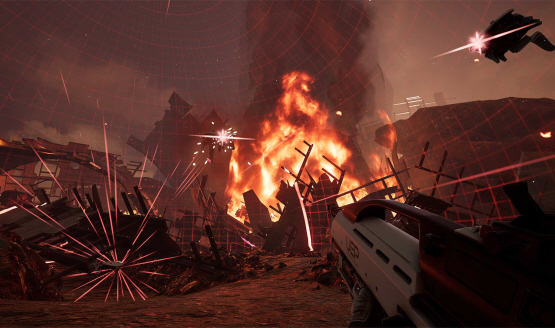 Farpoint doesn’t quite get to the wildly immersive experience of that zombies game, but as I said, there is a physicality to it. My wife found it amusing to watch me play, for example, because I would be constantly adjusting my head to “look” down the sight of my gun. To her it looked like I was just tilting my head close to a bit of plastic. In game I was genuinely looking down a laser sight to achieve a precise aim on a target. And, while the game’s narrative doesn’t fully capitalise on the strength of the setup, it’s still an enjoyable survival tale. It’s a brief experience at around six hours from start to finish, but I feel that were it any longer Farpoint would start to feel padded out, and that would have been a critical flaw for a game where people’s ability to play for long periods of time is probably limited by the technology. 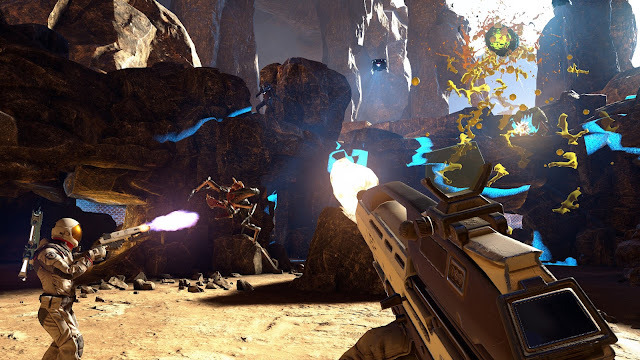 To make it clear; Farpoint never made me feel queasy or gave me motion sickness, and I suspect the game is as good as it’s going to get in terms of people being able to handle the movement, head tracking, and speed. But even still, the intensity of the immersion meant that I preferred playing this one in short bursts, so by the time it finished I felt that I had got my money’s worth. For people who absolutely must have “unlimited” gameplay in their purchases there is a co-op mode separate to the story, and it’s quite challenging, too. You’ll 'get your money’s worth' there. 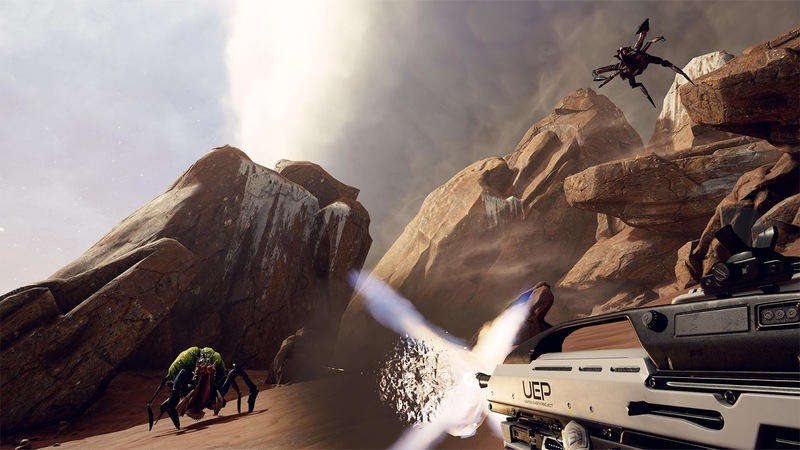 Farpoint is clever about the concessions that it needs to make in order to work in VR. Because you can’t comfortably turn a full 360 degrees, the game keeps the action focused firmly forward, and deviations to the left and right happen in 45 degree angles at the most extreme of times. It actually ends up feeling more like a lightgun game despite the control you have over movement, in the vein of Mortal Blitz, rather than a “proper” FPS, and this level design would have been unrelentingly dull were it not for the immersion on VR. But, much like in Mortal Blitz, once you get going in Farpoint you’re simply not going to care about how you’re moving from place to place. In other ways the game feels like a proper FPS, complete with the ability to collect different weapons and swap between them at will; and again the physicality of that light gun comes into play here because you change weapons by physically lifting the gun up. It’s immersive as hell, as simple as that sounds. If you’re going to play Farpoint, then be absolutely sure that you get the lightgun. It adds everything to the experience, making the game one of the most immersive and fundamentally enjoyable shooters that I’ve ever played. I know that a lot of people are still holding out on VR because they’re looking for AAA experiences that do the same thing as the non-VR blockbusters do, and anything that does do that is by default a “tech demo,” but Farpoint is a good place to start. It’s not a blockbuster in the traditional sense, but it is an exceptional game with depth and purpose, and could only ever work in VR.